A Dream of Red Mansionswas written in the latter half of the 18thcentury. It is not only a great Chinese novel but also a gem of world literature. The author is Cao Xueqin (1715-1763), also known as Cao zhan. He was born into a noble and powerful family, which was reduced from extreme prosperity to poverty. The life of luxury in his boyhood acquainted him with the ways of noble families and the ruling classes, while poverty in his old age enabled him to observe life more clearly and penetratingly. Based on his own understanding of life and with his progressive ideas, serious attitude and high craftsmanship, he was able to createA Dream of Red Mansion, a book regarded as the pinnacle of the Chinese classical novel. 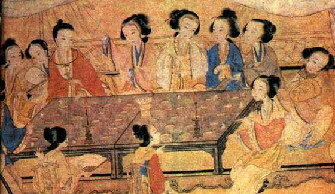 Of its 120 chapters, the first 80 were written by Cao Xueqin, while the last 40 chapters were thought to have been written by another writer, Gao E. Though certain difference can be discerned in Gao E's sequel, in respect to ideological content and artistic achievement, it still basically follows Cao's original plan and makes the novel and integral whole. A Dream of Red Mansionsdescribes the life and declining fortunes of a large feudal family. At the heart of the novel is a tragic love story between Jia Baoyu, Lin Daiyu and Xue Baochai. The author, instead of telling the love story superficially, tries to tap the social origins of the tragedy through probing deeply into the characters' minds and the complicated relationship among them, hence exposing the hypocrisy and cruelty of feudalism and the decadence of the ruling class. The novel goes far beyond the tragic love story, to depict a broad swath of society through describing a series of complicated conflicts and struggles, and ultimately predicting the domed fate of feudal society as a whole. The novel criticizes feudalism, its corrupted politics, marriage system and ethical relationships and passionately denounces its cruelty and inhumanity. In China,A Dream of Red Mansionsis praised as an encyclopedia for analyzing feudal society. A Dream of Red Mansionsportrays a galaxy of unforgettable characters, including Jia Baoyu, Lin Daiyu, Xue Baochai, Wang Xifeng, Yuanyang, Qingwen, Jia Zheng, Jia She, Jia Zhen and Jia Lian. Jia Baoyu is a rebel of feudal noble class. His rebellion character is fully expressed in his attitude of indifference to the ways of aristocratic life. He holds in contempt the tiresome men and greatly sympathizes with the women, oppressed and trampled by the feudal system, demonstrating his distinct democratic thoughts. Lin Daiyu is also a rebellious figure of the novel, she represents, to a certain degree, women's unfortunate fate in feudal society, their resistance to its oppression and passionate pursuit for true love. But her weakness is in her restrained and fragile character, typical of noble girls. 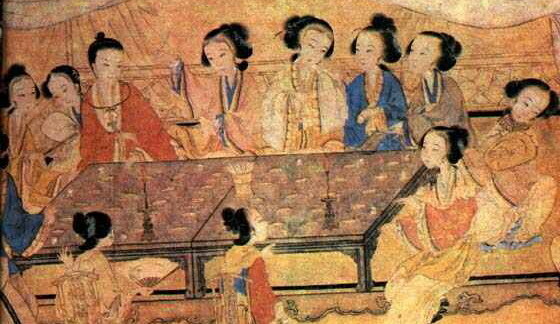 Baochai is portrayed as a conventional woman of feudal society, and she is also a tragic figure. The author also portrays a large number of servant girls such as Qingwen and Yuanyang, who are kind, pure and brave. A Dream of Red Mansionsmade great artistic achievements. For instance, the novel provides a large number of detailed descriptions of everyday lives. Cao Xueqin attained flawlessness in language.A Dream of Red Mansionsreflected high aesthetic quality in many aspects including poetry, drama, art, architecture, and gardens.